In today’s dynamic business environment, creating and implementing great strategies requires talent, resources and the right practices and tools. 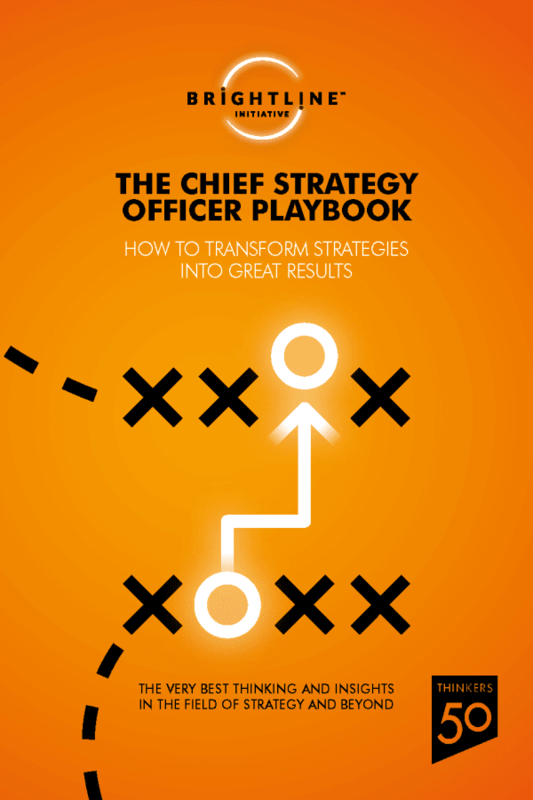 The Chief Strategy Officer Playbook is the second book published from a partnership between the Brightline Initiative and Thinkers50. It showcases some of the very best thinkers and business leaders in the field of strategy implementation and beyond. The result is a unique and compelling collection of valuable experiences, research, insights, and recommendations to help transform strategies into great results. Ricardo Var gas and Edivandro Conforto wrote together a chapter of the book presenting ten questions to help you turn strategy into reality. The article is based on Brightline Guiding Principles.